Could Grizzlies Hold the Secret to a Cure for Human Obesity? Last year, Natterson-Horowitz co-authored a book with science journalist Kathryn Bowers on the subject titled Zoobiquity: The Astonishing Connection Between Human and Animal Health. So, when I heard the news this morning that researchers are now studying grizzly bears in the state of Washington for insights on human obesity, I wasn’t surprised. I wrote about the One Health Initiative concept in 2011. Two years ago, comments on that article mentioned that it was an “interesting” and “enticing” idea, but one that was “way ahead of its time” at best and “impractical” at worst. However, the current grizzly bear study suggests it may be time to revisit the question: should human and veterinary doctors be partnering with wildlife biologists? Could this lead to more human cures? According to Natterson-Horowitz, jaguars get breast cancer. Rhinos in zoos get leukemia. 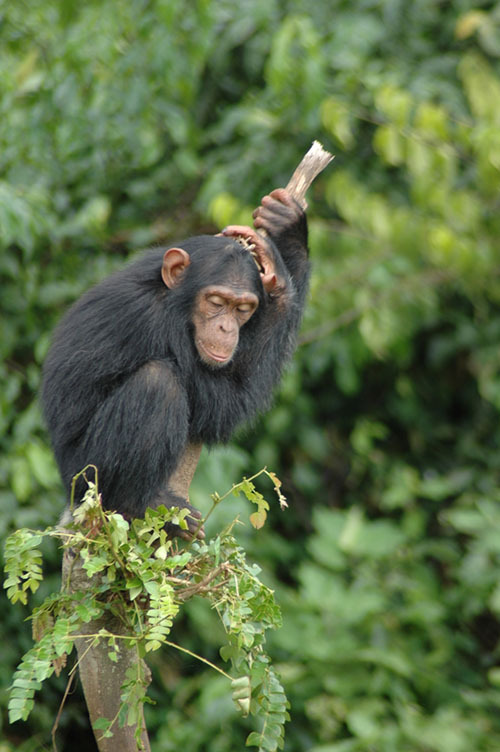 Chimpanzees in the wild experience depression and sometimes die from it. Melanoma has been diagnosed in the bodies of buffaloes. 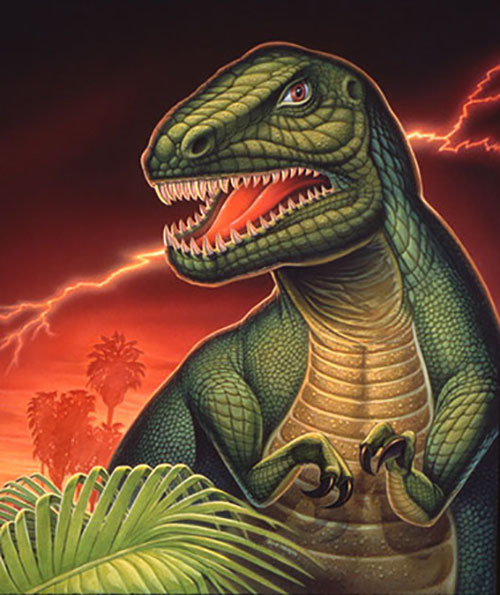 Western lowland gorillas die from a terrifying condition in which the aorta ruptures, and dinosaurs got brain tumors. It turns out that nonhuman and human animals have a lot of health issues in common. When it comes to obesity and diabetes, two of the most pressing human health concerns of our time, there is a strong connection, as well. And researchers are now studying grizzly bears to, hopefully, design remedies for people. 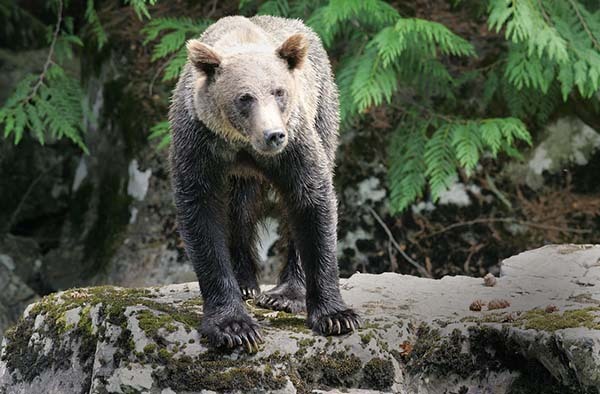 Dr. Kevin Corbit, a scientist at the California-based drugmaker Amgen, Inc., is conducting research on captive grizzly bears in labs at Washington State University. The bears in the center there, set up almost 30 years ago, are either born at the facility or rescued from places such as Yellowstone National Park because they got too close to humans and would otherwise have been euthanized. Hibernating bears are experts at naturally gaining weight. In the weeks before hibernating, grizzlies pack away enough salmon, apples and berries to put on 100 pounds or more. Their bad cholesterol levels jump and their blood pressures spike; but unlike with humans, their health doesn’t deteriorate. The bears’ arteries don’t clog from overeating, nor do the animals suffer from heart attacks or turn into diabetics. It seems the bears have figured out how to be healthily obese and then lose massive amounts of weight without problems. Dr. Corbit has stated that his studies of the bears’ fat and blood samples suggest that they are able to adjust their sensitivity to the insulin hormone that controls how much the fat and sugars in food are broken down and stored for energy. The bears are more sensitive to insulin while putting on the pounds. When hibernating a few weeks later, they shut off their insulin responsiveness entirely. Over the next two years of the project, Dr. Corbit plans to explore how they succeed in doing that—eventually with help from sequencing the bears’ genome. While news of the grizzly bear study does bring up other questions about the complex and important ethical issues of lab-animal investigation, it is known that wild animals in forests, jungles and oceans sometimes get sick and acquire diseases, just as we do. Perhaps we could improve the health of all species by learning more about how animals live, get sick, heal and die in their natural settings. Today, most physicians will go through their entire careers never professionally interacting with veterinarians. But a century ago, they did. In many communities back then, animals and humans were cared for by the same practitioner, the town doctor. To tell you the truth, I wouldn’t mind if my doctor routinely cooperated with animal experts. I think it would be cool if someday I went to my physician’s office and sitting in the waiting room beside me was a poodle—or a pachyderm. Do you think that human doctors, veterinarians and wildlife biologists should be educated cooperatively and work in the same facilities to improve health care for human and nonhuman animals alike? The bears’ having the secret of health is no mystery–they can eat what they want because they always follow the eating cycle with fasting. Feast, famine….feast, famine. We don’t. We self-destruct by eating multiple meals all year. And in a society with too much food, it destroys us–just as with animals in captivity that die when overfed. I went from 363 lbs to 190 lbs. I reclaimed my life and health in the same manner. It can absolutely be done, and I am confident science will demonstrate this. Bears are wired different then we Humans. If we ate as much as they did in such a short time and hibernated, we too would lose weight. You’re forgetting they don’t eat while sleeping. That’s how they get the weight off. There is nothing to compare. Stop thinking about painfully imprisoning Bears for your sick experiments. Interesting concept Candice. Good thought provoking article, well done! A number of years ago I lost my Welsh Springer Spaniel (Boycie) to pancreatic cancer, the vets advised he be put down. Shortly after an acquaintance contracted the same condition…. the Doctors didn’t suggest he be put down, but it would have been kinder. I watched him suffer all the same symptom’s my old dog exhibited despite our selves we still answer to Gaia. An intriguing idea that Doctors and Vets should work together. I must admit that I have already had a giggle when my dog was prescribed the same antibiotics that I took, just in a different box. Also our vet has my dentist’s name on his wall as a contact for equine dentistry. So perhaps it is happening already….more than we realize. Let that information (whether correct or not) go public and all the bears on the surface of this planet will disappear. I think it would be great if human doctors, veterinarians, and wildlife biologists to collaborate. They could share so many things that could help and prevent illnesses. I think so. As long as the study doesn’t show that I have to hibernate, there’s not enough time to get things done as it is. I would not want such a magnificent animal be treated as a “lab rat”. I’m a wildlife photographer, who has quite a bit of experience photographing Grizzly bears.